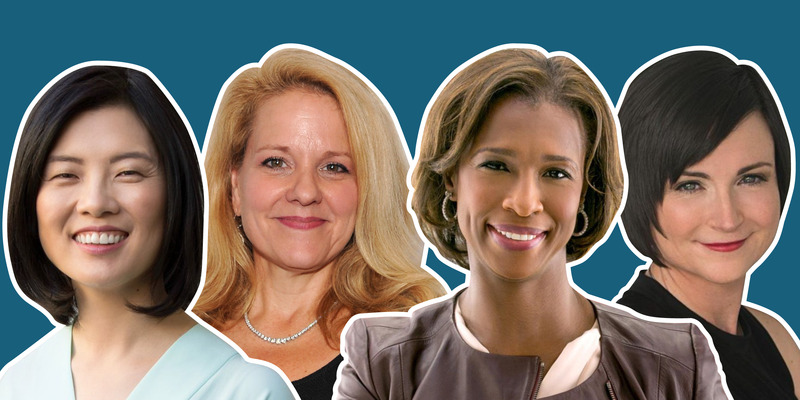 These are women with engineering backgrounds who are running big business units at important companies, are building impressive up-and-coming technologies, or acting as leaders and role models in the tech communities. In honour of International Women in Engineering Day on June 23, take a look at our picks of the most powerful female engineers of 2018. 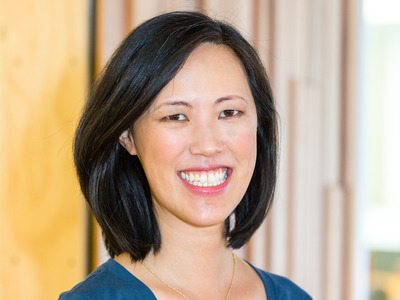 Carol Leung leads engineering for the “guest side” of Airbnb’s new Plus initiative, where Airbnb will be adding more types of properties to its network. She’s admired and respected by everyone from her bosses to her teammates, known for her ability to motivate people, and keep projects on track. 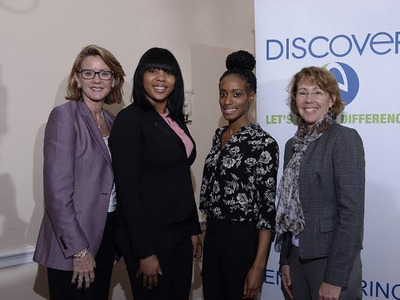 Her promotion as the lead of this engineering team has marked her as a rising star at the company. When she’s not at work, she’s out running. She laughs that even being pregnant didn’t stop her from her daily runs. “In fact, I was jogging on a treadmill the day of delivery for both of them,” she tell us. 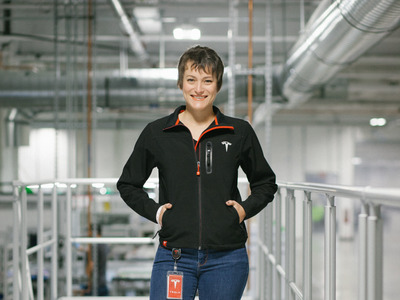 Meredith Westafer is a senior industrial engineer at Tesla who manages the design and layout of the company’s Gigafactory, which will be the world’s largest factory by footprint. The factory – located in Reno, Nevada – produces the integral lithium-ion batteries that run Tesla vehicles. Westafer developed the models that determined how much space the factory needed and how materials flow within the factory. She designed an automated material delivery system that uses a fleet of autonomous mobile robots to deliver goods to and from the production line. “Sometimes when I drive into work and see this huge building, I’m a little blown away by how big the challenge is, but it’s so fun,” she said. Tanya Lattner is president and COO of the LLVM Foundation, an organisation she helped to found. LLVM is a “compiler” project meaning it helps a computer read and understand the software it runs. The LLVM tech is used by many big tech companies like Adobe, Nvidia, MobileEye, Sony. Lattner is a former Apple engineer who worked on LLVM as a grad student and was a driving force in the project’s success. She’s got five patents to her name, too. Compiler engineering is a niche that other programmers view with awe and it hasn’t yet attracted a ton of women. 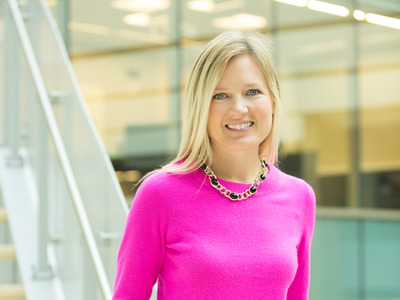 Lattner is not only a role model for her own work, but her foundation has launched programs that encourage more women to try their hand at this type of engineering. “I am a compiler engineer by training, which is a field that many consider to be intimidating. I love that I am able to change this perspective,” she tells us. Krysta Svore leads a quantum (QuArC) research group at Microsoft helping usher in a whole new kind of computer. Krysta works on quantum algorithms and how to implement them, ranging from how to code in a high-level programming language, to how run these programs in hardware. She’s on the software side of quantum computing, a new type of computer that could one day be magnitudes more powerful than today’s fastest supercomputers. “I attribute my love for maths and science to my teachers at Forest Ridge (thank you Mr. Fenoli! ), an all-girls’ school in Seattle, and the amazing female mentors I had,” she tells us. She got involved in quantum computing when she “learned about a technology that had the ability to solve problems far beyond the capability of our digital computers,” she said. 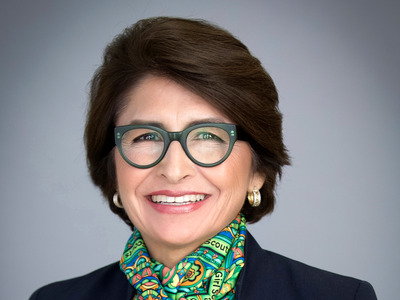 Sylvia Acevedo is the CEO of the Girl Scouts. But she cut her teeth as an engineer working for NASA’s Jet Propulsion Laboratories, IBM, and Dell and hopes to use those chops to help the Girl Scouts raise its profile among Silicon Valley and tech companies. Acevedo tells Business Insider she’s loved space and astronomy for almost as long as she’s been a Girl Scout. During a troop camping trip, she became fascinated with constellations and the unexplored parts of space, which spurred her interest in science and technology. Years later, she earned a Master’s degree in industrial engineering from Stanford and worked for NASA in the 1970s. After joining the Girl Scouts as a board member in 2008, Acevedo continued to work with the organisation and became CEO in May 2017. Under her tenure, the Girl Scouts introduced a series of badges in robotics, coding, engineering, and cybersecurity. Erica Baker is the senior engineering manager of Patreon, a startup helping artists, musicians and other creative people get paid for their work by selling subscriptions. Baker was previously at Google and Slack. She is well known the Valley for her tireless advocacy for inclusion. 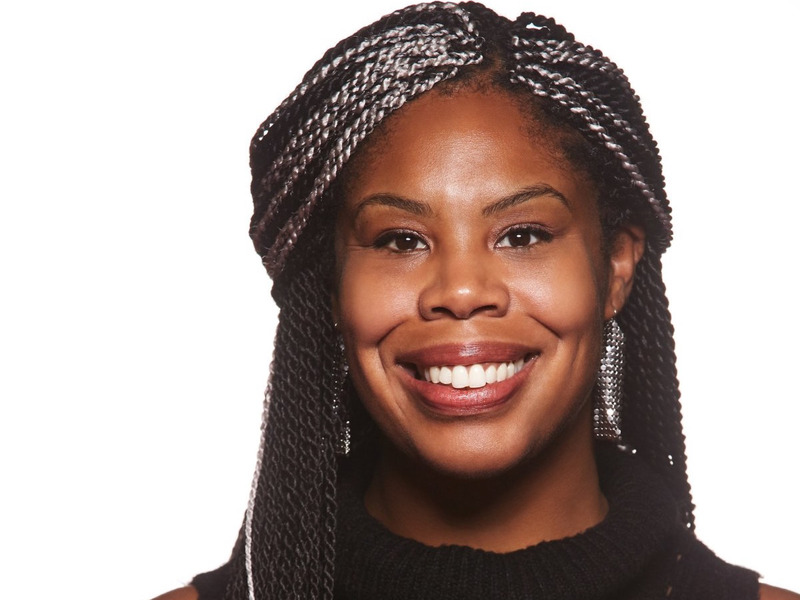 She’s on the board of Girls Develop It, a mentor for Black Girls Code, an advisor for Hack the Hood and a diversity council member for Code.org. And she’s a frequent speaker at conferences. When she’s not working or mentoring she’s engrossed in genealogy, also with an eye on helping others. “Aside from family and friends, there is nothing I care about more in this world than genealogy (not even computering). In fact my life goal is to use my technical knowledge and skills to reassemble the family trees that slavery tore apart,” she said. Dr. Wiratni Budhijanto is a chemical engineer and professor at Gadjah Mada University in Indonesia. Working in partnership with Dr. Largus Angenent at Cornell University, Budhijanto invented a new way to treat waste water that’s 10-times more efficient, requires far less land than retention-pond systems and releases no greenhouse gases. It could be a game-changer for developing nations like Indonesia. 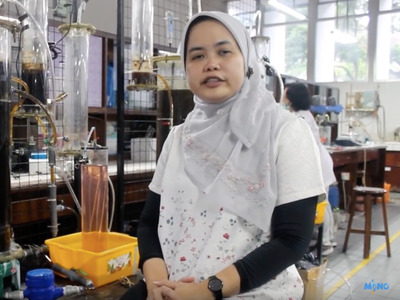 Her work has made her a prominent figure in the chemical engineering world and a role-model for other women scientists in the developing world. Karen Casella is the engineering leader of the Edge & Playback Access teams at Netflix. She’s in charge of the teams responsible for ensuring users are viewing content securely. Prior to Netflix, she was VP of Engineering at Shop.com. 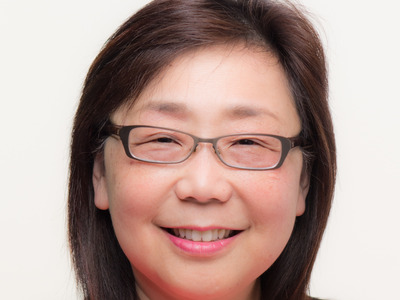 She’s also held positions at eBay and Director of Application Architecture at eBay, and Sun Microsystems. Casella is not only an engineer at a major tech company but she’s an advocate for underrepresented groups at Netflix and has done outreach for women and LGBTQ communities. 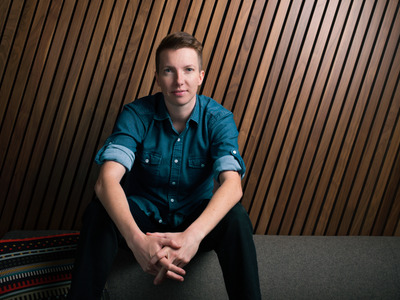 She was named a fellow at the Lesbians Who Tech summit in Washington DC and can often be found on the speaker circuit discussing diversity and inclusion efforts. Caitlin Kalinowski is interim head of hardware at Oculus, the division in charge of Facebook’s virtual reality headset, the Oculus Rift. Kalinowski has led the team responsible for the design of the Oculus Rift, Touch and Gear VR and is tasked with solving pressing engineering and design challenges, like fitting a massive amount of technology into a small headset. And she has design chops: she formerly worked at Apple, where she led the design and manufacturing method for the bottom covers for the MacBook Air. Aside from Facebook, Kalinowski is on the board of wogrammer, an outreach project focused on women engineers, and she’s also on the advisory board of Lesbians Who Tech. 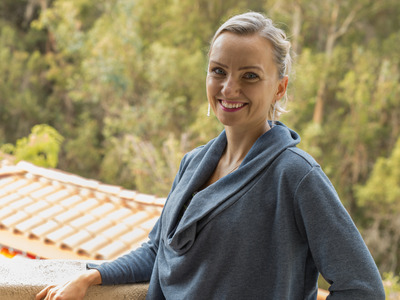 Justyna Zander is a senior automotive product manager at NVIDIA, one of the main companies building the underlying technologies for self-driving cars. Zander has been working on self-driving cars for more than a decade and is an expert in deep learning, artificial intelligence, and machine learning. She hold six patents and won the Society of Women Engineers Emerging Leaders Award in 2017. Before joining NVIDIA, Zander worked on self-driving tech at Intel. 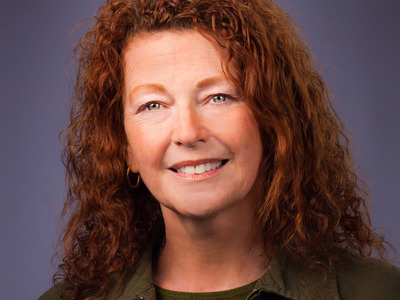 Judy Priest has earned Cisco’s highest engineering honorarium as a distinguished engineer. She works in the Chief Technology and Architecture Office. 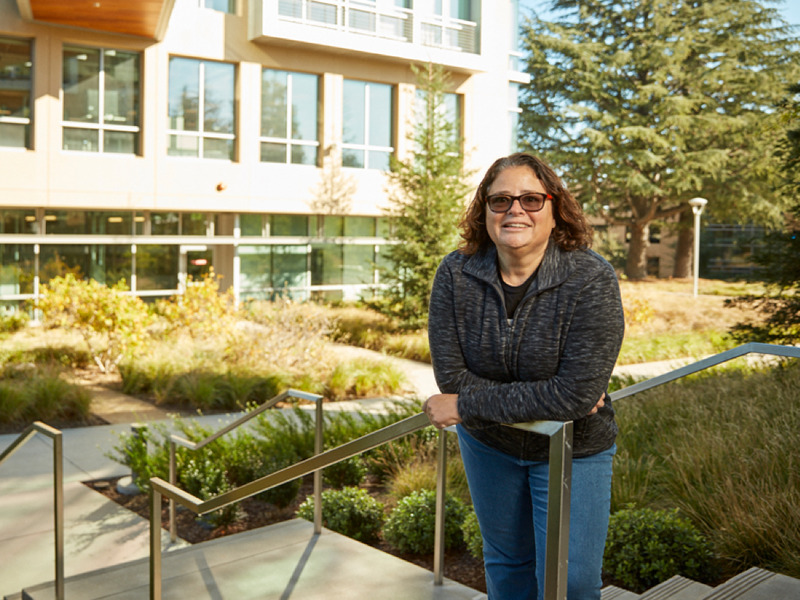 Her job involves investigating new technologies for Cisco doing proof-of-concept trials and helping business units figure out how to add the tech into their product development plans. For instance, one of the technologies she’s working with now is blockchain. She says playing with new tech is fun but it requires a “good BS filter. It’s important to be able to distinguish hype from reality and fantasy from science,” she said. 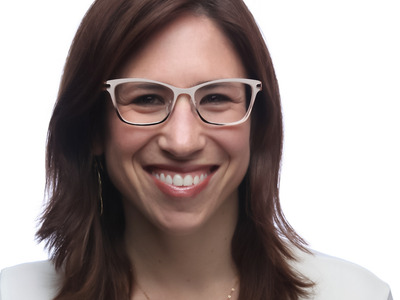 Yael Garten is director of Siri data science and analytics at Apple. Garten is in charge of using data to drive the decision-making for Apple’s voice assistant, Siri. Using data, Garten’s team helps decide how Siri is updated or what new features the program will get. And because her job involves crunching enough numbers to make product decisions, she’s an acknowledged expert in the field of data science. “My work helps make people’s lives easier – whether it’s getting things done, allowing people to use their devices hands-free, or making our technology accessible for everyone,” Garten said. Before starting the job in in August 2017, Garten was director of data science at LinkedIn, where she worked with data since 2011. Deb Liu is Facebook’s vice president of Marketplace. Liu is in charge of the company’s buyer and seller platform that competes with Craigslist. Liu helped build the platform from scratch before it launched in 2016. “The stories of how people’s lives have benefitted from the product in small and big ways is really important to me, and it’s the best part of this job,” she tells Business Insider. Liu is also involved with, Expanding Your Horizons Network, a nonprofit that encourages girls to enter STEM careers. And last year, she co-created the networking organisation Women in Product. She’s also known for her big sense of humour which can be seen in her comic series site, Mummy School, about the adventures of her family. Sophia Velastegui is the general manager of Microsoft’s artificial intelligence product unit. Velastegui, who holds several patents and sits on the board of Georgia Tech’s College of Engineering, joined Microsoft in December 2017. 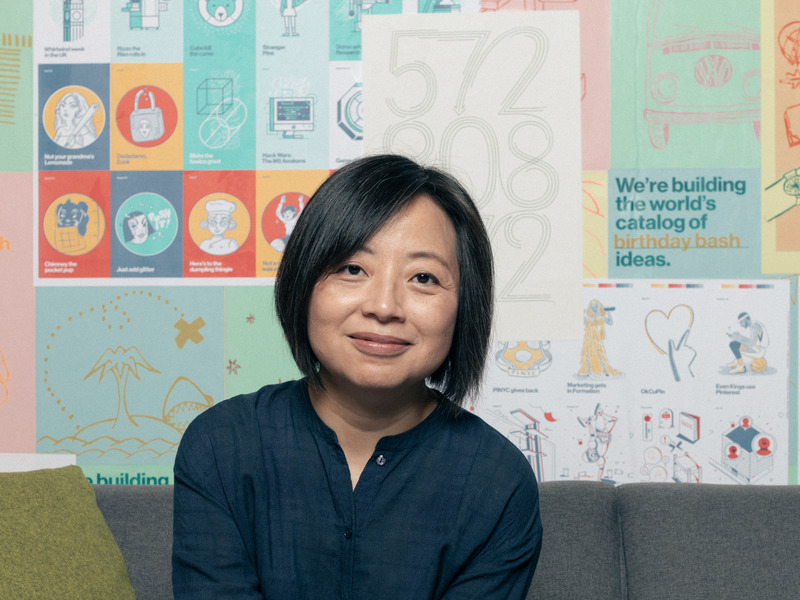 In this role, she’s responsible for helping Microsoft develop and create new products for its AI technologies. Microsoft has become a key player in AI and has integrated it into several products already, including Microsoft Translator and Microsoft’s Cortana digital assistant, as well as offering it as a feature in its cloud services. Before Microsoft, Velastegui worked at Doppler Labs, the smart headphone company that shut down last year. She’s also worked at Nest, then Alphabet’s smart home company, and Apple. She has a killer system for hacking her career that helped her land the GM role. “Networking for career development should be just as important as the projects I work on,” she says. 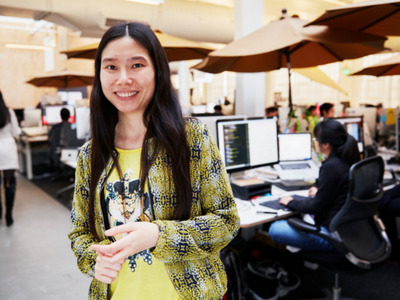 Li Fan is senior vice president of engineering at Pinterest. As one of the industry’s chief experts on visual computation and image search, Fan led the 450+ person team responsible for the launch of Pinterest Lens, the company’s visual search tool that uses machine learning to help users identify objects by taking a picture of them. Fan previously led Google’s Image Search team until 2016. Before that, she was head of search, product design, and development at Chinese search giant Baidu. Fan credits Pinterest with helping her rediscover her passion for painting. which she stopped doing at age 12 because her parents wanted her to focus on academics. “Rediscovering my passion as an artist is one of the many reasons I joined Pinterest,” she tells Business Insider. Aanchal Gupta is director of security at Facebook, where she leads multiple teams in charge of protecting Facebook from the cyber bad guys. Gupta is not only responsible for making sure Facebook’s products – Facebook, Messenger, Instagram, WhatsApp, and Oculus are secure, she’s also tasked with protecting the company’s corporate infrastructure. Gupta has more than two decades of security experience under her belt, and previously worked as Chief Information Security Officer at Microsoft for Skype. She’s also active in the greater security eco-system, on the technical advisory boards for security startups CloudKnox Security and ThreatWatch, and on the review committee for the Grace Hopper conference. Sandy Carter is Amazon Web Services’ vice president of Enterprise Workloads Engineering and Product Management. She runs the business and engineering teams for Windows on AWS, VMware on AWS, the server migration businesses and product management for the Compute Cloud unit. Amazon is currently the leader in the cloud computing market, and Carter is helping fend off up-and-coming rivals like Microsoft and Google. She is also chairman of the board for Girls in Tech, an adjunct professor at Carnegie Mellon Silicon Valley, and serves as an advisor to a number of startups. Before she came to Amazon in April 2017, Carter was the general manager of Ecosystems and Startups at IBM. And she has an unusual hobby: eating at McDonalds whenever she travels. “I’ve eaten at McDonalds in over 87 different countries while visiting our customers,” she tells us. Reshma Shetty is a co-founder and COO of Ginkgo Bioworks, a cutting-edge biotech startup that designs synthetic DNA. Shetty founded Ginkgo Bioworks after getting a PhD in biological engineering from MIT. For the last decade, Shetty has been a one of the foremost minds in the industry, helping to launch the first international conference in the field of synthetic biology in 2008. Back in her MIT days, she even helped lead a project to engineer E. coli to smell like bananas and wintergreen as a proof of concept of an extremely difficult “odor” engineering project . Prachi Gupta is a director of engineering at LinkedIn. 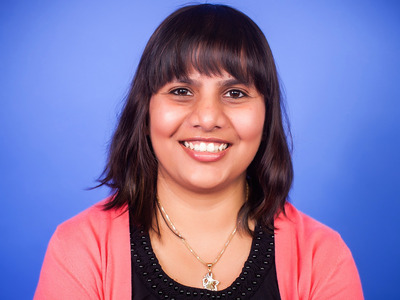 Gupta runs the engineering teams behind LinkedIn’s homepage, feed and sharing products, making sure that relevant content is served to users during every visit. She previously led LinkedIn’s team responsible for the messaging feature. Before going to LinkedIn in 2010, Gupta was an engineer at Garmin. Trained in the Indian classical dance form of Kathak, Gupta also serves on the board of Women’s Audio Mission (WAM), a nonprofit that aims to introduce young girls to science through music production. 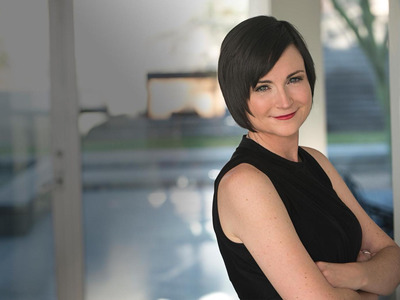 Julie Larson-Green is the chief experience officer for Qualtrics. 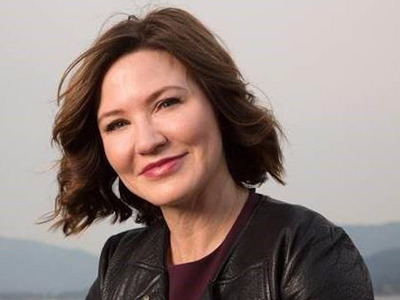 Larson-Green is well known for her 25 years at Microsoft, rising to executive vice president and chief experience officer there. She led teams for products used by billions of people every day including Office, Windows, Internet Explorer, Xbox and Surface. In December she joined Qualtrics, a rising Utah-based startup valued at $US2.5 billion, and became its first CxO. It’s her job to watch for trends across the company and make sure that all the teams from product, support and sales, all work together. Larsen says the key to success as a manager is to hire people who complement each other. “Don’t try to make an apple into an orange or a pear. Do hire an apple, an orange, and a pear, and then the team as a unit operates at a much higher level together,” Larson-Green said. 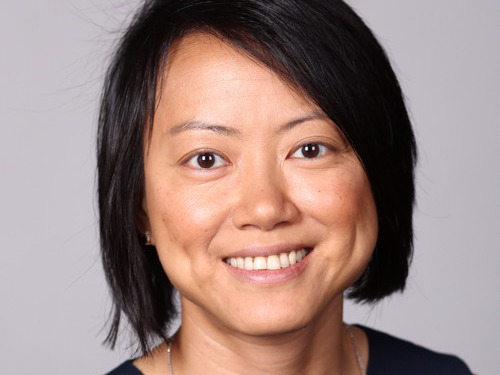 Lily Chang leads VMware’s Strategic Transformation Office as well as the Project Office for the company’s first joint venture with Chinese infrastructure company Surgon. 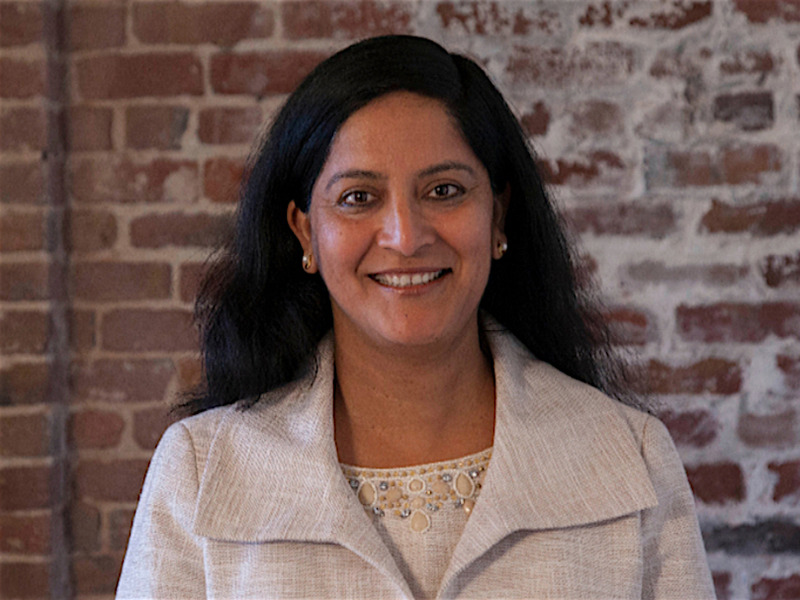 Prior to these roles, she was vice president of Central Engineering for VMware and before that, she was an engineer in R&D. In addition to working on products and partnerships at VMware, she’s a board member for Women who Code, a non-profit organisation helping women technologists get more leadership roles within the industry. “I am a beneficiary and contributor for giving back,” she says, adding that it’s not just about leaning in. People also need to band together to sponsor, learn, and mentor each other. 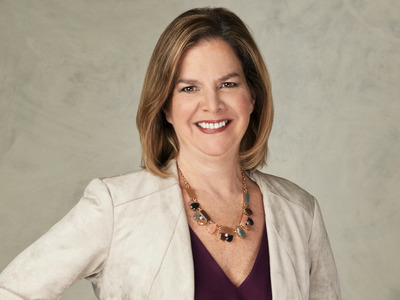 Renee James is well-known in the tech industry as a former Intel bigwig, who was once the second in command at the chip giant. Ampere was James’ baby from the beginning – she’s not a hired gun. She saw the need for a new kind of chip for servers for cloud computing companies: one based on ARM designs, the same kind of low-power chips that run your smartphone. She hunted down a team, found the intellectual property and put together the financing, shooting down many naysayers along the way. 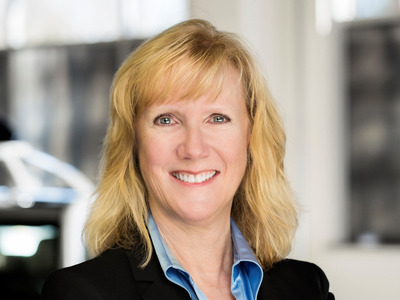 Kathy Winter is a major force within Intel’s most-watched division, the Autonomous Driving group, brought into Intel with its $US15 billion acquisition of Mobileye in 2017. Winter joined joined Intel in late 2016, before the MobileEye purchase, as the GM the Automated Solutions Division. She was working to create chips for autonomous driving as part of Intel’s growing Internet of Things division. She had already earned her stripes in this nascent industry working as a VP at Delphi. At Delphi she and her team accomplished the first ever cross-country drive by an autonomous vehicle, a 9-day trip from California to New York. 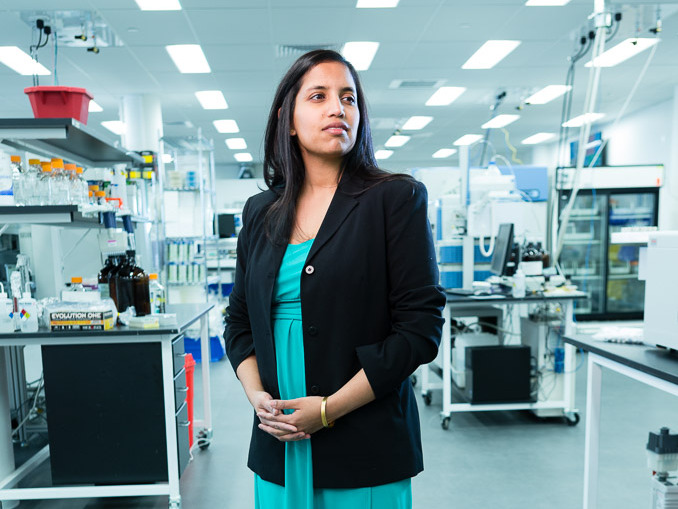 At Intel she’s overseeing the company’s Advanced Vehicle Lab, working through garages around the world and testing a fleet of self-driving cars hitting public roads this year. “I have a vested interest in safety. I have four teenage boys who all drive. A self-driving car does not get distracted, text or listen to loud music while driving,” she told Autoconnected Car. Corinne Yu is vice president of Cruise engineering at General Motors working on autonomous vehicles. She’s charged with hiring and leading diverse teams covering the gamut of technologies used in self-driving cars: hardware, sensors, computer vision, machine learning training and more. She came to GM from Amazon where she was working on automation technologies, including computer vision and “unmanned traffic management.” (Amazon is working on things like drone deliveries.) She was even the designated Amazon representative to NASA and the FAA. 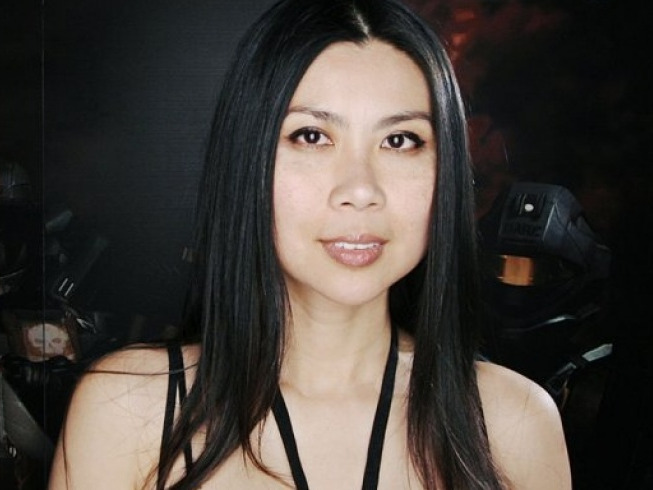 Fun fact: Before getting into self-driving vehicles she had more than two decades of experience as an manager and engineer of many influential video game franchises including Halo, Brothers In Arms, and Borderlands. 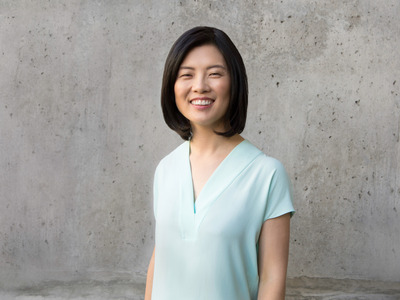 Joy Chik serves as corporate vice president leading Microsoft’s Identity division of its Cloud and Enterprise Group. As such she oversees the team that protects consumer and enterprise data in Office 365, Windows, Xbox, Surface, and Azure. 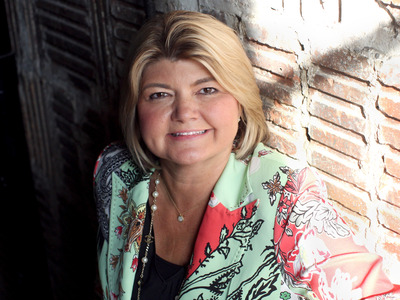 In 1998, Chik stepped foot on Microsoft’s Redmond campus as a software engineering intern. 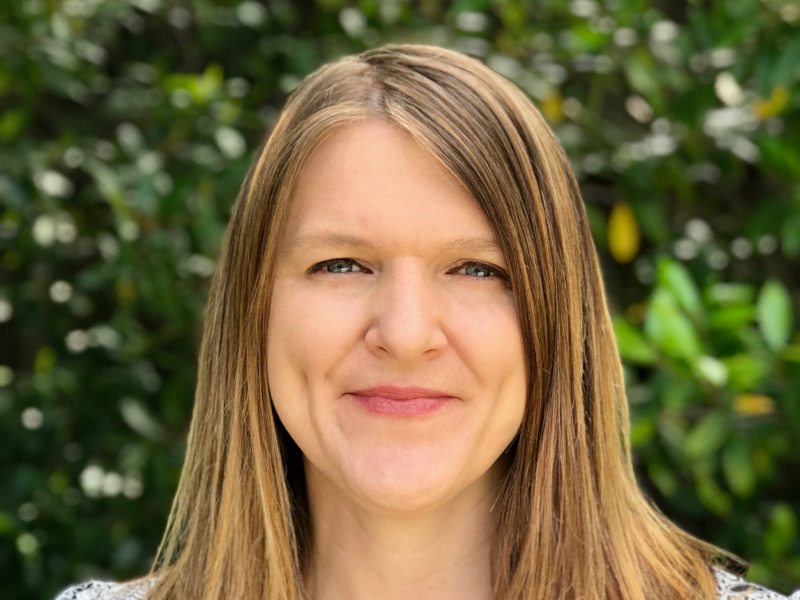 Working her way up – and never leaving Microsoft – she eventually became the director of development, director of engineering, and then corporate vice president for the Enterprise Client & Mobility (ECM) division. For two years, Chik has also served on the board of the Anita Borg Institute for Women in Technology. Outside of work, Chik loves to travel. She’s visited over 60 countries spanning every continent except, so far, Antarctica. Dr. Yanbing Li is the senior vice president and general manager of VMware’s Storage and Availability Business Unit (SABU). She’s responsible for a large portfolio of some of VMware’s most prominent and fastest-growing products, including product development, engineering, and sales. 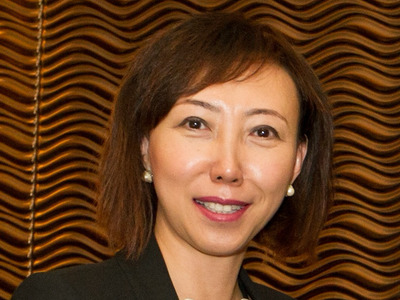 She’s been at VMware for eight years, rising from managing director of China to a variety of vice president roles. While Li runs a large org at VMware, she does it in style. “I am known as the ‘High Tech Girl in High Heels’ for my love of technology and high heels,” she jokes. Bechtel is one of the worlds largest engineering companies with 53,000 employees worldwide, and Carol Zierhoffer is its top IT person – the chief information officer. She and her team were honored in 2017 for developing an innovative program that helps protect all of those employees from hackers. It combined employee training on how to protect info with a system of classifying documents to help them from falling into the wrong hands. Prior to the job at Bechtel, Zierhoffer was global CIO at Xerox and at that time she explained that her mission was to create IT systems that simultaneously protect a company while making it easier for people to share and use information. Elissa Murphy is vice president of engineering at Google Cloud, the company’s cloud computing platform that competes with Amazon Web Services and Microsoft Azure. Murphy previously led efforts that helped Google’s suite of office apps, G Suite, become more enterprise-focused. She holds over 30 patents with over 10 pending in distributed systems, machine learning and security. Before Murphy came to Google in 2016, she was chief technology officer at GoDaddy, where she led the company through its IPO in 2016 and helped it become recognised as one of Anita Borg’s Top 13 companies for women technologists. Prior to GoDaddy, Murphy was vice president of engineering at Yahoo and spent 13 years at Microsoft. Murphy is also a board member of CalPoly’s Computer Science Industry Advisory Board, the BlogHer Advisory Board, and the Inphi Corporation. 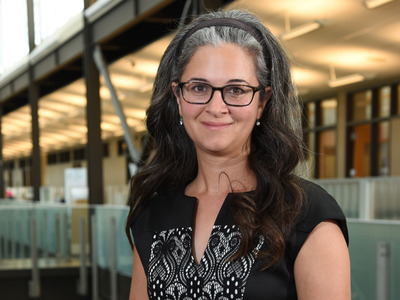 Noël Bakhtian is the director of the Center for Advanced Energy Studies at Idaho National Laboratory. CAES is a research effort between the U.S. Department of Energy and four public research universities in Idaho and Wyoming. Bakhtian leads the center’s efforts to solve the most pressing energy problems facing the world, including the energy-water nexus, advanced manufacturing, nuclear energy, cybersecurity, policy, and supercomputing. Prior to this role, Bakhtian worked on government policy as a senior policy advisor at the White House Office of Science and Technology Policy (OSTP) from 2015-2016 and worked at the Department of Energy before that. When she was getting her PhD in aerospace engineering from Stanford, she worked at NASA to create new technology that helps land missions to Mars. Additionally, she is also trustee of the Summer Science Program, a nonprofit focusing on science education, and is an associate editor for the Science & Diplomacy Journal. One of her best pieces of career advice is, “Do some informational interviews. They are a really powerful tool. You’re not asking for a job, you’re just asking to grab coffee with someone and learn about their career path and what their life is like,” she told ChronicleVitae. Corlis Murray is responsible for Abbott’s engineering services including regulatory, quality assurance and global security for all of the company’s businesses in more than 150 countries. She’s been using her position of power to pull others forward, too. In 2012, she launched Abbott’s high school STEM internship program to expose students from a all backgrounds to tech careers. “So far, nearly 90 young people have participated and 97 per cent are pursuing a STEM degree or have a STEM job,” she tell us. That’s one reason why she won the Society of Women Engineer’s “Advocating for Women in Engineering” award last year. When she’s not working or helping others she’s a major basketball fan, especially youth programs. “I am my grandson’s biggest fan and pretty much everyone at a game knows it,” she jokes. 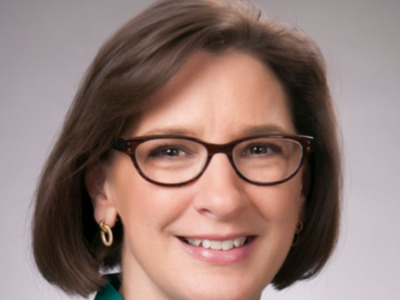 Paula Hartley is the general manager of Lockheed Martin’s Rotary and Mission Systems business and vice president of the Advanced Product Solutions unit. Her team builds technology used in military communications, security, aeroplane cockpits, surveillance and weapons. In 2017, her team delivered to the army the most powerful laser ever created – twice as powerful as an earlier laser that took out an army truck a mile away in a demonstration. While that sounds terrifying, the plan is to use this kind of tech in defensive weapons, ones that could protect the nation from a swarm drone attack or large number of rockets. When not creating military tech, Hartley is an advisor for Bucks County Community College, involved in the Bucks County United Way and is on the board of a chapter of the American Red Cross New York. 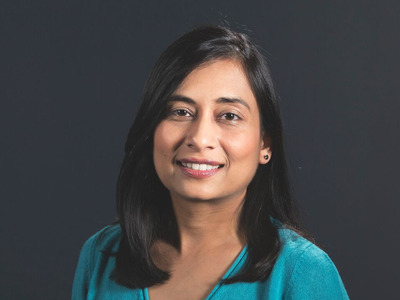 Anjul Bhambhri is vice president of Cloud Platform Engineering at Adobe, where she leads a global engineering team of over 300 people. She’s responsible for Adobe’s Cloud Platform service, which allows Adobe’s customers to store and crunch through data to help them run their business. Her team is also working on next-generation technologies like artificial intelligence and machine learning. Besides loving her job, she’s also a dog lover. “I have a Labrador named Pojo,” she says and some people think his name is based on a computer programmer’s acronym (POJO stands for Plain Old Java Object), but she confesses to us that it isn’t. “Playing and walking with him is a reminder to stay inquisitive, find new paths and treat every day with excitement,” she says. 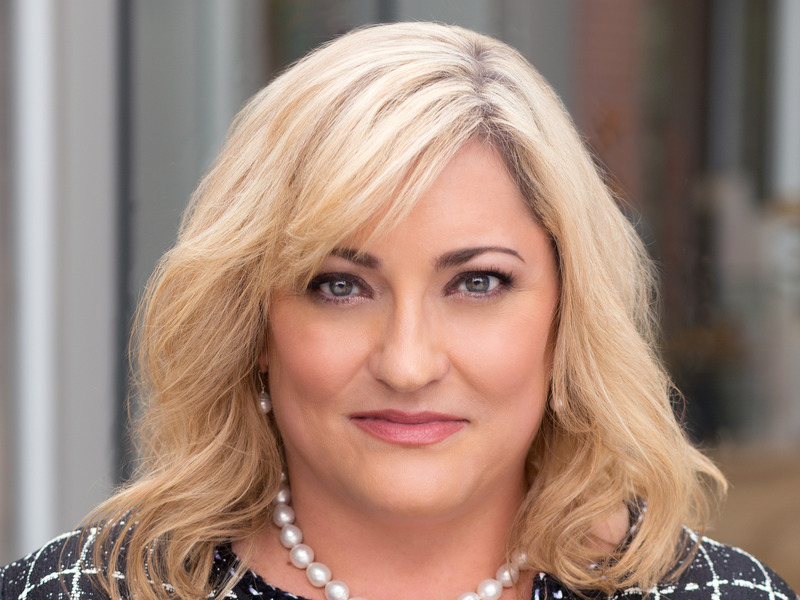 Denise Dumas is the vice president of Operating System Platform at Red Hat where she is responsible for the company’s flagship product Red Hat Enterprise Linux. RHEL is the most successful commercial version of Linux in the market. Her team works on updates of existing and new versions of RHEL, makes sure it works with other products in the company and outside of it. When she’s not at work, she’s in her garden. She calls herself “a crazy gardener.” For instance, last fall she planted 300 daffodil bulbs just to see them bloom like mad this spring. 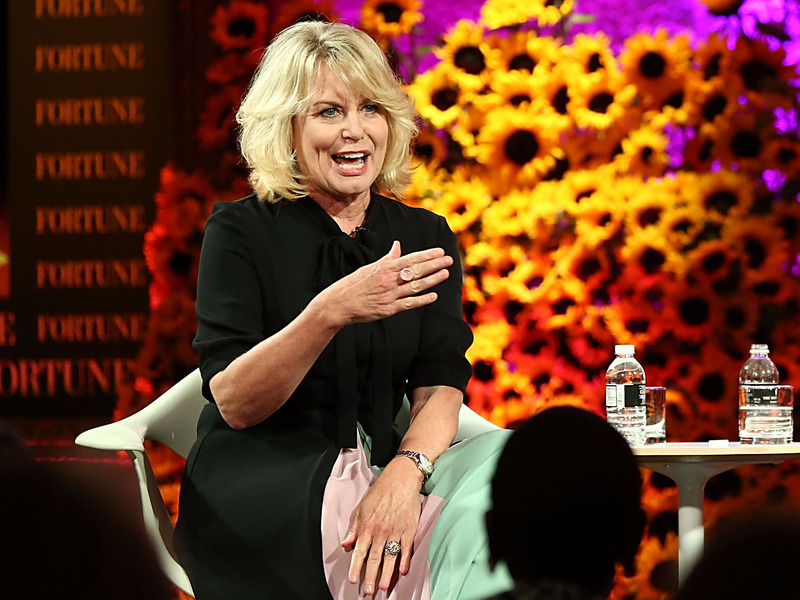 Bryant joined Google in November after spending her entire 30-year-plus career at Intel, where she rose to lead one of the chipmaker’s most important businesses, the Data Center Group. She had taken a leave of absence from Intel for most of 2017 before deciding to leave the company altogether to join Google. At Google, she’s tasked with helping another icon in the enterprise tech world, Diane Greene, turn Google into a cloud computing giant to rival Amazon and Microsoft. Bryant also has an inspiring rags-to-riches personal story. She was a homeless teen who studied engineering in college because she heard it led to good-paying jobs and worked herself up from there. 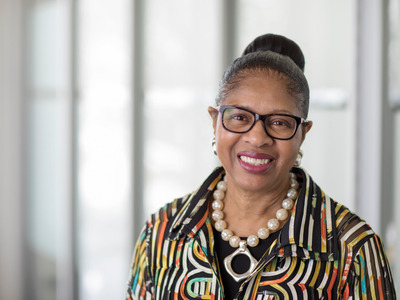 Patricia Goforth is an executive vice president at Booz Allen Hamilton who leads more than 3,400 engineers and scientists that build tech projects for the company’s customers. These project include things like systems that protect companies from hackers or designing new IT systems. 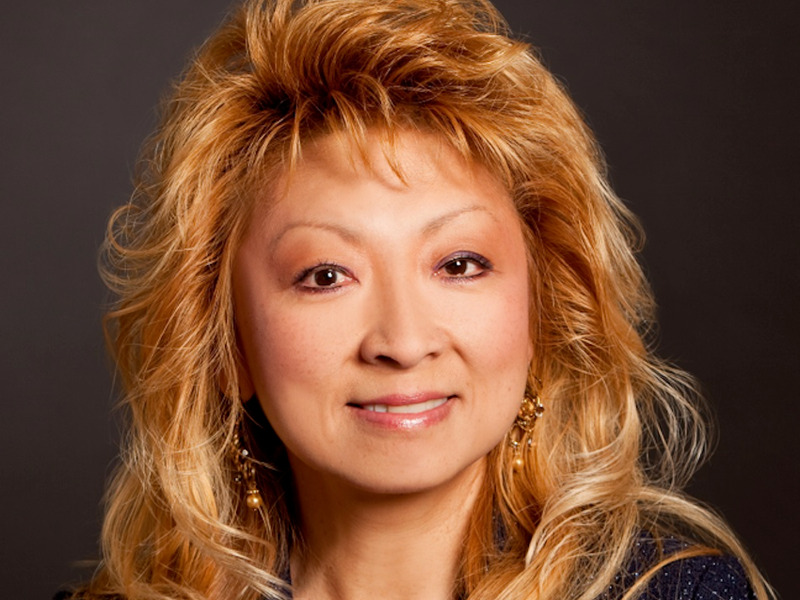 She’s received Booz Allen’s most prestigious customer service award for her work. Goforth is also in charge of hiring engineering talent, and she’s active in the Society of Women Engineers creating internship programs for women in STEM. When she’s not working, she’s an avid fan of the University of Virginia basketball team and the Washington Nationals. 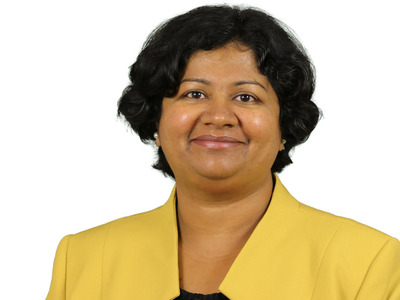 Priya Balasubramaniam is vice president of Apple’s iPhone operations, meaning she oversees Apple’s massive supply chain for manufacturing iPhones. She also oversees quality and repair operations for the iPhone and its core components. She’s been with Apple since 2001, a behind-the-scenes force at the company, taking over iPhone operations in 2013. Last year, she was awarded an honorary doctorate of engineering from Michigan State University, where she earned her MBA in supply chain management in 2001. In her commencement speech, she described her early years as an engineer struggling to get a job. Hiring managers told her flat out “Being a girl, managing a factory, was not something I could do,” she told the audience. Lucky for the tech world, she didn’t listen. Melinda Gates has long been one of the most influential women on the planet. Her position of wealth and privilege gives her access to the most powerful people on the planet, which she’s used to further her philanthropy work. But in 2018, she started looking at a problem near and dear to her heart: the lack of women in tech. And now she’s doing something unique, with vast potential to tip the scales. She is investing her money as a limited partner into venture funds that are run by women and who, as a natural byproduct, back more women-led and minority-led startups. This is straight up capitalism. She expects to make a killing backing smart startups that offer products and services often overlooked by male investors. And her returns will turn heads in the financial industry. And that will drive more capital into the hands of more women, and an ingenious network effect will be born. “These big firms often believe in the white guy in a hoodie disrupting a whole industry. So we’re going to disrupt it by making sure we’re indexing for women and minorities because they have got great ideas,” Gates recently said. Alicia Boler Davis is leading GM’s global manufacturing operations and its manufacturing engineering and labour relations organisations. 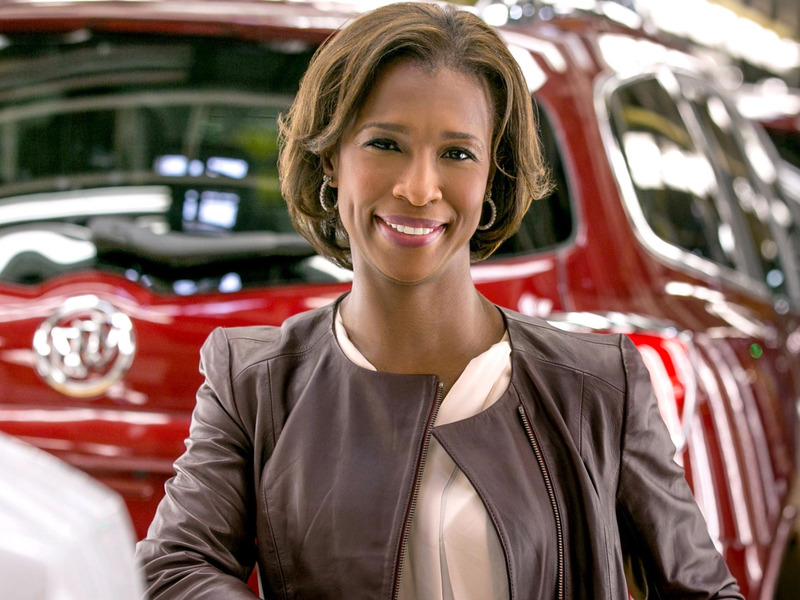 She is a member of the GM Senior Leadership Team and reports to GM CEO and chairman Mary Barra. Boler Davis began her GM career in 1994 as a manufacturing engineer at the Midsize/Luxury Car Division and she’s been steadily climbing the ladder ever since, the first black female engineer to become a plant manager, then to run multiple plants and then hold multiple vice president roles. In 2016, when she was promoted, GM built a record 10 million vehicles. After the promotion Boler Davis earned the prestigious 2018 Black Engineer of the Year, award. And “Automotive News” named her its 2017 All Star in Manufacturing. Boler Davis is known for her confidence.Still with every new promotion and learning curve “I truly had to trust and rely on the team while I was learning, and I was transparent,” Boler-Davis told The Detroit News. 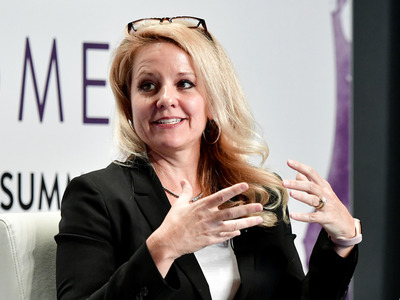 Gwynne Shotwell is the president and COO of SpaceX and was inducted into the Space & Satellite Hall of Fame earlier this year. She’s been at SpaceX since 2002, the year the company was founded, and became its president in 2008. By 2012, she’d helped SpaceX become the first privately funded company to send a spacecraft to the International Space Station, forever changing the space industry. Under her leadership, SpaceX was the first private company to send a satellite into geostationary orbit, too. Setting new standards is one of her favourite things about the job, with milestones like “landing a first-stage booster on a drone ship and on land, re-flying a rocket, launching Falcon Heavy, the most powerful rocket currently in operation,” she tells us. Her path to becoming a powerful engineer all began with a smart, and smartly dressed, role model. “I was inspired to become an engineer by a very smart, well-dressed mechanical engineer who I saw speak at a Society of Women Engineers event as a teenager,” Shotwell says. Correction: A previous version of this post misstated Shotwell’s starting date. She began working at SpaceX in 2002, not 2012.